RIO DE JANEIRO — Brazil's leading research institute Fiocruz warned Tuesday of a potential health crisis after a dam containing mining waste collapsed in the state of Minas Gerais, killing at least 134 people. Tests of the contaminated mud and water from the river are underway, but environmental experts said they expect to find toxic concentrations of iron oxide and other heavy metals. Over the long term, the report stated that the isolation of rural communities, the stress and trauma caused by the loss of a family member, a job, or a drastic change in the quality of life also had a significant impact on people's health. Researchers noted a higher incidence of hypertension, diabetes, cardiovascular conditions, strokes and even cancers in the months and years following the accidents. Fiocruz, linked to the Ministry of Health, largely based its assessments on studies carried out in the aftermath of a similar disaster in November 2015, in the same state of Minas Gerais. The collapse of the larger reservoir killed 19 people and left 250,000 people without drinking water. It had been considered Brazil's worst environmental disaster, but experts argued Tuesday that Brumadinho could surpass it. 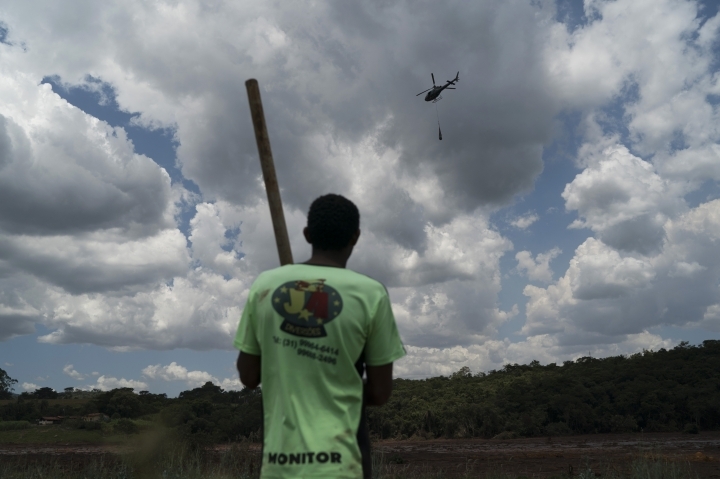 "This is the biggest mining dam disaster in Brazil and one of the greatest in the world", said Mariano Andrade da Silva, a researcher at the National School of Public Health, linked to Fiocruz. In Brumadinho, the breach of the reservoir unleashed about 12 million cubic meters of reddish-brown mud, threatening to contaminate 48 municipalities, affecting up to 1.3 million residents. Authorities are still looking for 199 missing people, but no one has been found alive since Jan. 26. About 3,000 people live in rural areas, many of which are cut off from the center of Brumadinho because roads remain blocked by the mud. Fiocruz experts said past experiences indicated that remote communities are particularly vulnerable to the spread of diseases and worsening of health conditions. The institute is also monitoring the movement of the mud as it descends the Paraopeba River toward the much larger Sao Francisco River. Experts say they don't know yet if two hydroelectric power plants on the Paraoepeba will block the waste and prevent the contamination of the Sao Francisco River. Fiocruz said that millions of people in more than 500 municipalities depended on the water of the Sao Francisco for personal use or irrigation. The slow-moving, thick mud was initially expected to reach the first dam between Feb. 5 and Feb. 10.